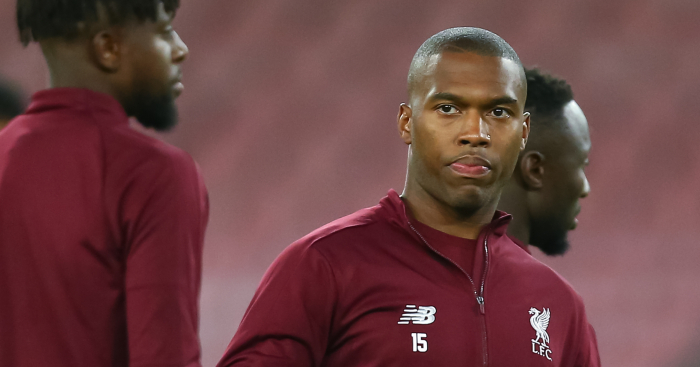 Daniel Sturridge had a moment to forget as he came up with a costly miss in the first half of Liverpool‘s clash with Red Star Belgrade. Liverpool travelled to Belgrade in the Champions League expecting a tough test in an intimidating atmosphere, with Xherdan Shaqiri left back home in order to avoid provoking any tensions due to the attacker’s Albanian heritage. Roberto Firmino, meanwhile, was left on the bench, allowing Sturridge to start up front, while Adam Lallana also came into the starting XI in midfield. Sturridge has enjoyed something of a resurgence this term, but he fluffed his lines when presented with a brilliant opportunity after 16 minutes. Liverpool had been under the cosh early on, but should have taken the lead through Sturridge, and they were made to rue the striker’s miss as the hosts scored twice before the half-hour mark. Can you name Liverpool’s top 30 goalscorers in Premier League history?